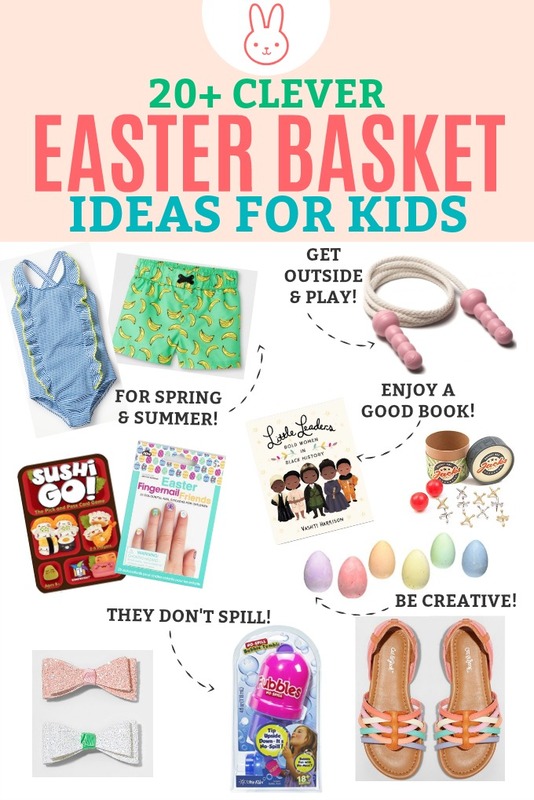 20+ Clever Easter Basket Ideas for Kids! 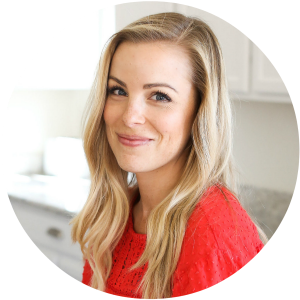 – Fun ideas (besides candy!) for kids’ Easter baskets, plus some of our favorite allergy-friendly Easter treats! Easter is just a few weeks away, and I realized that while I’ve shared some spring decor projects and table settings and centerpieces, I’ve never actually shared Easter basket ideas before! 1. We do our family egg hunt the Saturday before Easter (the day before). A friend mentioned this family tradition right before Sophie was born, and I’ve loved it ever since. They do all the Easter bunny stuff before Easter Sunday and reserve Easter Sunday for the more reverent celebration and observance. 2. We dye eggs. I never hide the dyed eggs (I’m too afraid of the dye bleeding or the smell after not finding one…), but we love decorating them with white crayons and then a dye kit from the store, or painting them. 3. We fill Easter baskets. The kids typically “open” (go through) their Easter baskets, then we empty them and go on an egg hunt. Michael loves hiding the eggs. My specialty is the baskets. To me, Easter baskets are kind of an extension of stocking stuffers (my favorite part of holiday shopping). We don’t spend a ton of money, I don’t do tchotchkes, and I try to have everything in the basket be usable or consumable. This is decidedy the “big” thing for the Easter baskets. (It’s a purchase I need to make anyway as they grow each year, but it’s fun to put it in their baskets!). Some families do a nice Easter dress or Easter outfit, but since we live in the desert, we’ve started doing swimsuits. Swim season starts in April-May here in the desert, and my kids have spring break and start swim lessons back up this month, so it’s perfect timing! I ordered Milo two pairs of trunks (these and these) during a BOGO sale last week, and ordered this darling strawberry suit for Sophie (after also looking at this cute ruffle-front one, this ruffle cap sleeve one and this pastel gingham). Similarly, anyone who needs a new pair of sandals to get through the warm months (i.e. 9-10 months of the year), gets an update around now too. These are Milo’s FAVORITE footwear. 2-3 pairs get him through a year with nearly daily wear. I can hardly ever talk him into anything else! If you’re not quite ready for swim suits and sandals, accessories are another fun thing to refresh this time of year. Spring nail stickers or nail polish. Wholesome & Surf Sweets – They make a great Swedish Fish & Starburst knock-offs, peach rings, gummies, and lollipops that all taste delicious. YumEarth – They do gummy things really well, from fruit snacks to gummy worms and gummy bears. They also offer jelly beans and a few other options. Black Forest – Another good gummy option. They have fruit snacks, gummy worms, gummy bears, and some sour options which can be fun. Ocho – Not every flavor is GFDF, and they do use shared equipment (so if you have an allergy rather than an intolerance, I’d steer clear) but we LOVE their coconut ochos. They taste incredible and it’s SO nice to have a chocolate something once in a while! Sea Salt Dark Chocolate Almonds – Another chocolate favorite. They are gluten & dairy free, and my kids love them. 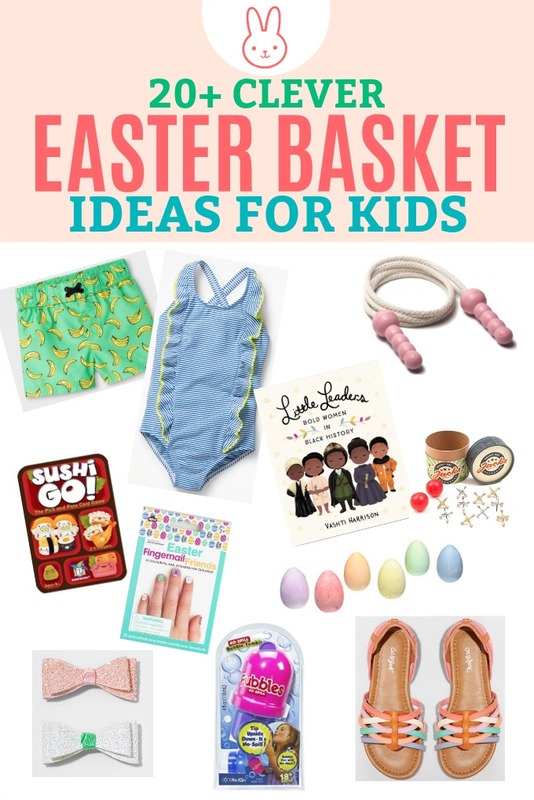 What are some of YOUR favorite Easter basket ideas for kids? I love hearing what other families do for this holiday! Love these cute ideas. Oh goodness, I haven’t had an Ocho coconut candy bar in a while. Love them, too. I found them in mini as well as full size. I really like the individually packaged minis for a treat. Enjoy them!! I’ve never seen full-size! Where do you find them? We’ve only ever gotten the minis! I find the full size ones (which are not all that large) at my local Whole Foods. They have all the varieties of Ocho candies there and the big ones are sold individually. But i find the mini ones at my local little gourmet market/grocery store. That’s awesome! I’ve been getting my minis at Target!